Oleoestepa was founded in 1986 for the purpose of uniting the efforts of more than 4,000 olive growers and 16 associated oil mills located in the Estepa and Puente Genil districts of Seville and Cordoba. The richness of the soil and unique climate of the area, strongly influenced by the Becerreo and Aguila Sierras, provides an ideal condition for the varieties of olives typical of the region. 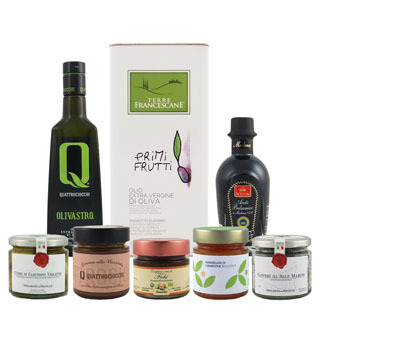 With a large team of highly-trained technicians, oil production masters, agricultural engineers and quality assurance managers working together with cutting-edge technology, Oleoestepa is able to produce some of the world's finest extra virgin olive oils. Pressed from Spanish Arbequina olives.